With football season in full swing, making creative delicious appetizers is a MUST! 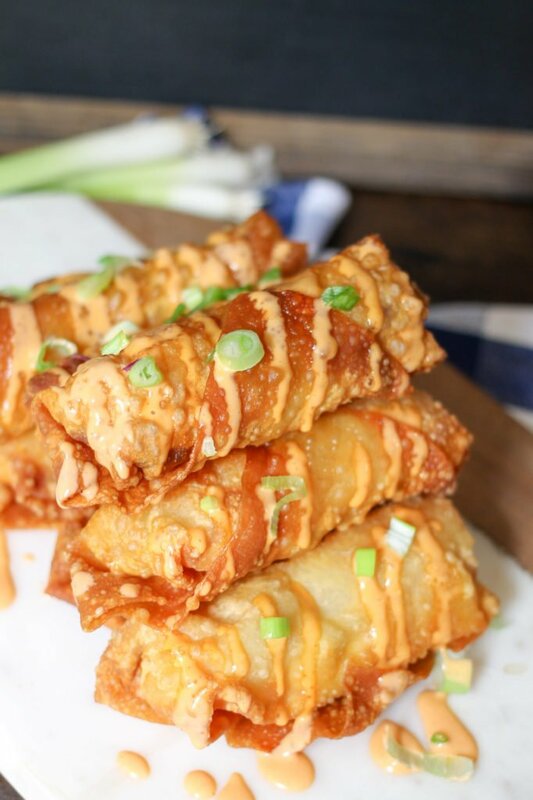 These Bang Bang Shrimp Egg Rolls take the popular Bang Bang Shrimp recipe to the next level! They are incredibly easy to make, and everyone will LOVE them! Be sure to whip up some extra sauce because it will NOT last long! Bonefish Grill’s Bang Bang Sauce is popular for a reason, it’s delicious! It’s also VERY easy to make yourself. I’ve used it for Bang Bang Chicken (Instant Pot), Bang Bang Tofu Bang, Bang Shrimp Quesadillas,and Bang Bang Shrimp Tacos, and all of them are always a hit! Take mayonnaise, Sriracha, rice vinegar, and sugar; whisk all of them together in a jar or bowl. Close the jar and let the sauce meld in the fridge while everything else is cooking. Sauce will keep in the fridge up to a week. You have the option to use fried shrimp or boiled shrimp, it’s up to you. 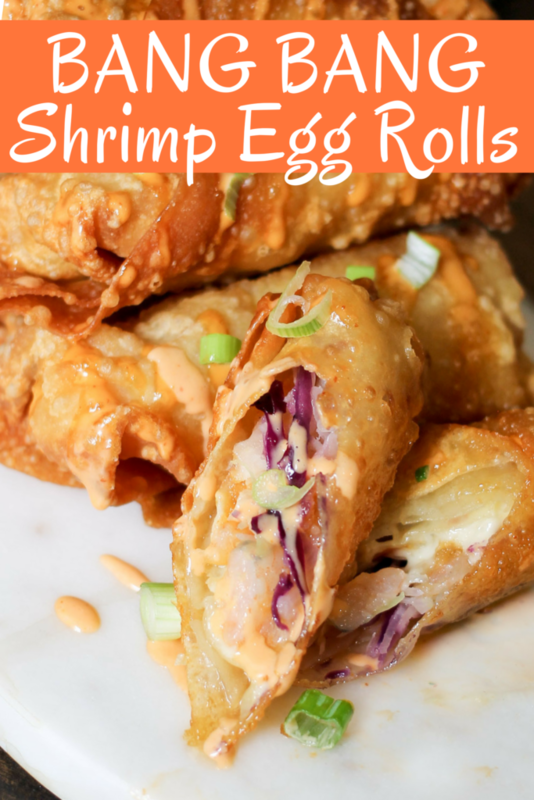 I don’t think it makes THAT big of a difference in the recipe, because you get a lot of crunch from the fried egg roll, so leaving the shrimp boiled is okay in my opinion. However, you can also fry the shrimp before adding them. Coat the shrimp and fry them up (if you want fried shrimp), alternatively you can boil the shrimp. Get all the ingredients together – it’s easiest to make these in a sort of assembly line. 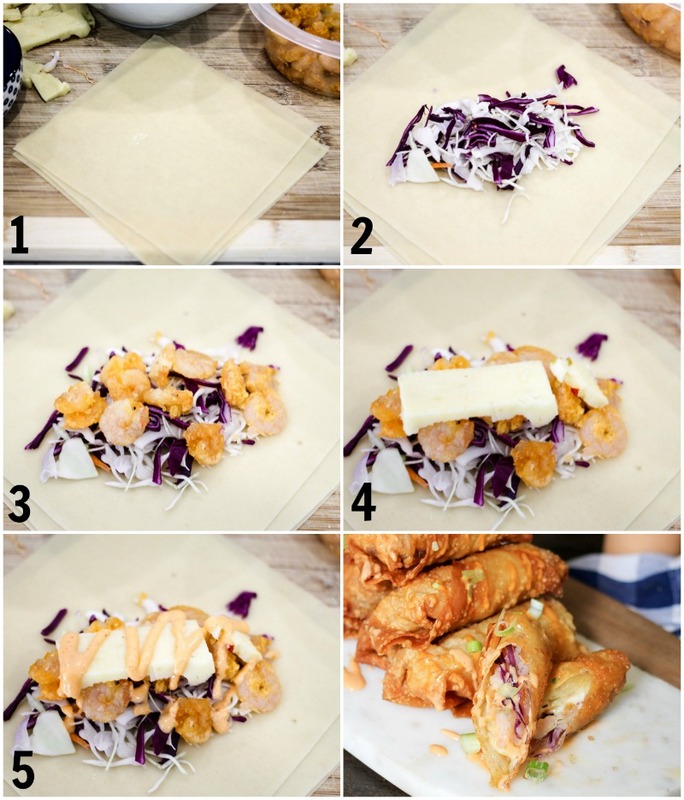 Using egg roll wrappers (look for these in the produce section of the grocery store), add the ingredients, one by one, into the center of the wrapper. Roll the egg roll halfway, tuck the sides into the center, then damped the last corner with some water, and continue rolling to seal completely (see video below). 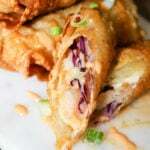 Fry the egg rolls in canola or vegetable oil until browned and crispy. Serve and top with more bang bang sauce and green onions – YUM! Can I make ahead or freeze bang bang shrimp egg rolls? To make ahead (say the night before you need them), I recommend making them but NOT frying them until you need them. Store them covered tightly in the refrigerator. When ready to fry, make sure the seams are still sealed; add water to seal if necessary. To freeze: I recommend making them but NOT frying them. Wrap them tightly with plastic wrap and freeze. Allow to defrost overnight in the fridge, then fry according to below directions. Spinach Artichoke Egg Rolls have your favorite Creamy Spinach Artichoke Dip stuffed into egg roll wrappers! Turkey Club Egg Rolls are filled with turkey, bacon, tomato, avocado, cheese, and a special sauce! Ready for a Turkey Club Sandwich taken to the next level- try these! Yum!! My kiddos would love these! And they look like they are pretty easy to make – a total win! Perfect game day snack or weeknight dinner! My family loves bang band shrimp, so this is a great recipe. Oh my this looks like the perfect snack food for a weekend happy hour at home! I am going to try this for my next party, I bet everyone will love it. Thanks so much for sharing! We have a Bonefish Grill right by our house and never go there. Now, I’m all intrigued by the Bang Bang sauce. I’ll have to just make it myself. It sounds fantastic! You HAVE to try this sauce – it’s SO good! Okay I live for egg rolls! Thanks so much! These are so tasty, everyone must try them! Easy and delicious! I can’t wait to try this for my weekend movie night! Wow this looks insanely good! So yummy! I like this! Thank you for a great recipe! Oh yum! My whole family would go crazy for these! This is such an awesome appetizer! Best eggrolls ever! love the spicy flavors you have! Can these be cooked somehow instead of deep fried? You could try an air fryer! Can I use rice paper instead to make this gluten free? I made these tonight with and without the cheese and they both were delicious. The cheese definitely kicks up the heat factor and I loved it! 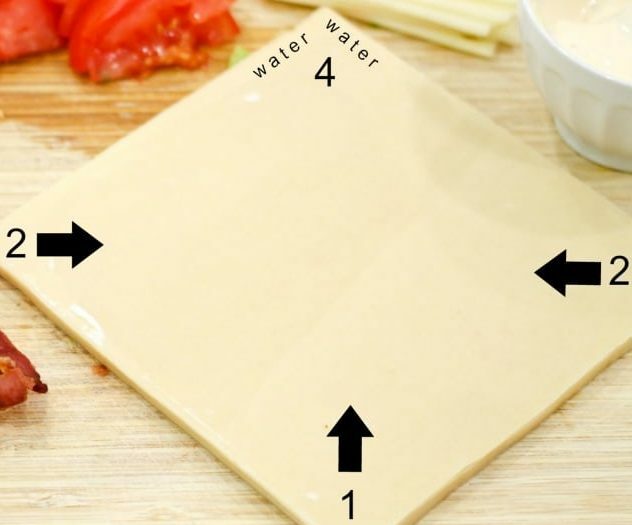 However, if you have those in your family that are scared of the heat just eliminated the cheese. If you must have cheese just use a mild Colby. Thanks for the receipe. When I was in college me and my BFF would gonto Bone Fish once a week just for the Bang Bang Sheimp!! Yay! That is a great comparison too, Thank you! How does fried shrimp hold up if freezing? I recommend freezing only if you use boiled shrimp. The fried shrimp won’t hold up well. Hello, I would love to try this but with Salmon. Would you suggest if it should be fried in cornstarch first, or pan fried fried? I honestly wouldn’t try it, so I am not sure. I don’t recommend using salmon for this recipe. How about spraying with oil and baking instead? Any idea what temp and how long? Cindy- you can try it, but I can’t advise you on time etc since I haven’t tried to cook them that way. Good luck!